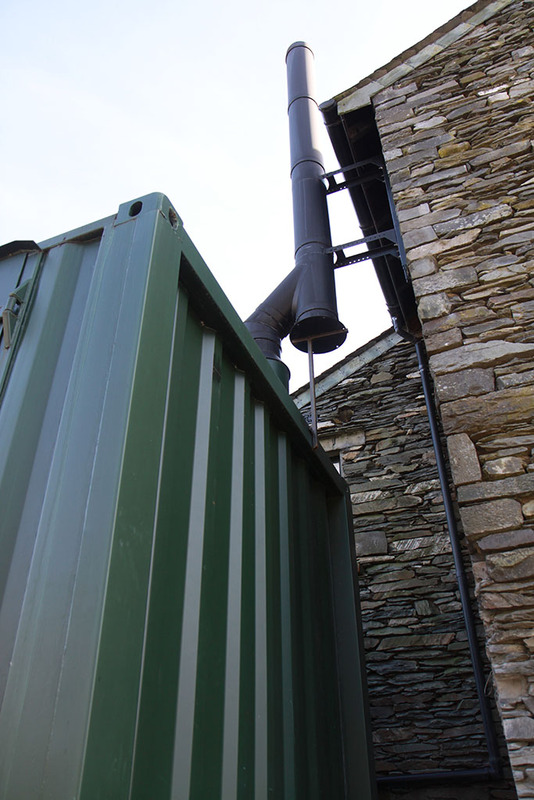 The client brief was to provide an economic structure to house a biomass boiler and pellet store. The structure needed to be discreet because it was to be located in a car-park adjacent to the Club House. The design solution utilised a storage container. External timber cladding and a grass roof were added to soften the appearance.